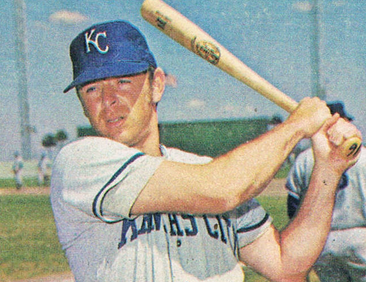 Richie’s career spanned from 1965 – 1974, with the highlight coming in 1972 when Richie made the American League All Star team. He finished the year hitting an even .300, which was 6th in the league. 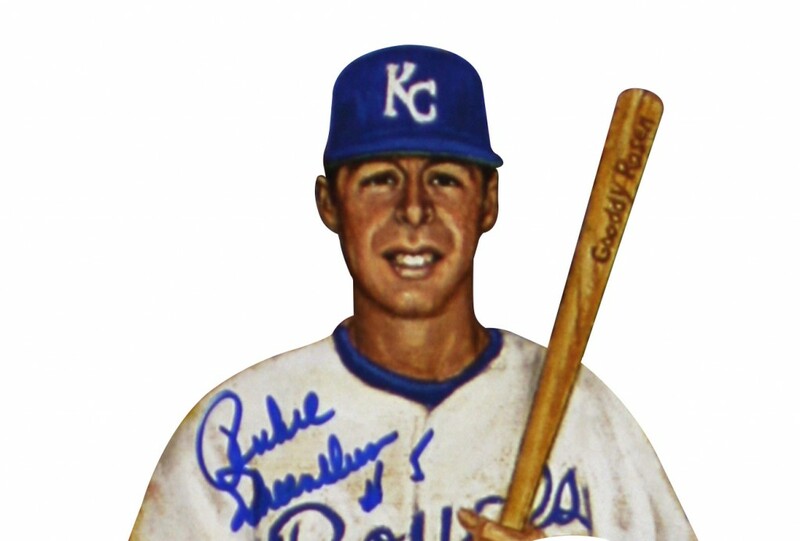 Richie played for the Hiroshima Toyo Carp, where he requested uniform number 55, as it was phonetically pronounced “Go Jew Go” in Japanese. 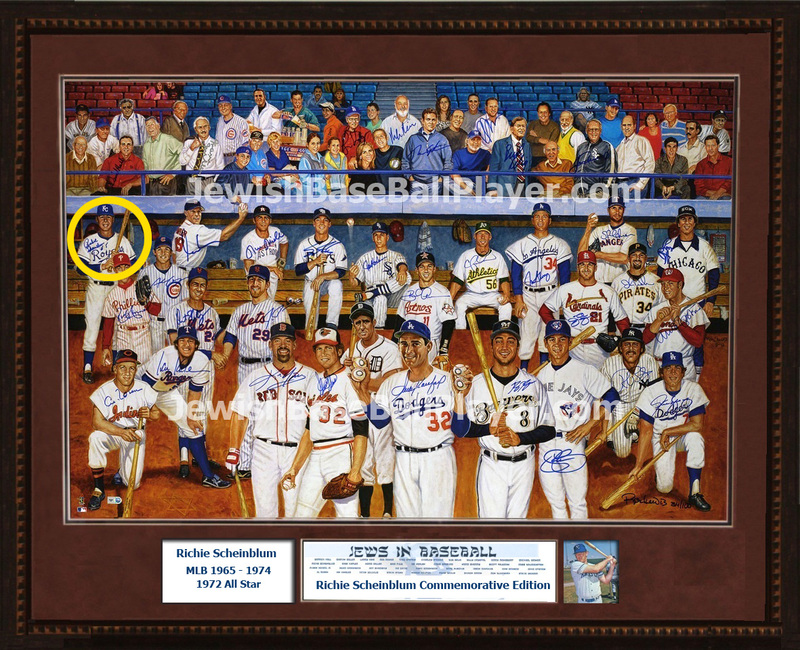 This piece of Jewish baseball history depicts 36 current & former Jewish baseball players, executives and celebrities. Each piece is individually numbered 1-5, certified authentic by MLB and originally hand autographed by the 26 players, including Hall of Famer, Sandy Koufax, MVPs Al Rosen and Ryan Braun, and current star Ian Kinsler. All Purchases Support The Fergie Jenkins Foundation.